Social Mobilization is considered key towards ensuring a participatory approach in rural development and poverty alleviation programs. It aims to create a sense of ownership among communities by involving them directly in decision-making processes. 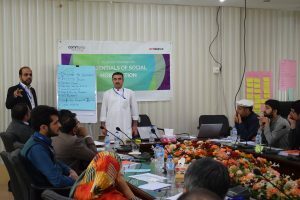 Civil society organizations apply social mobilization to raise awareness, motivate people to bring change and to organize communities to take ownership of project interventions. 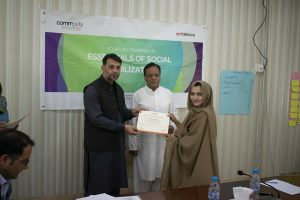 Under its Capacity Enhancement Program, Community World Service Asia offers a variety of learning and skill enhancement opportunities to support the growth of non-governmental, civil society, and community-based organizations in Pakistan. These initiatives aim to strengthen the capacity of all the stakeholders involved in humanitarian and development assistance to effectively advocate for the communities with which they work. Acknowledging the strong need and positive impact of effective social mobilization, a four-day residential workshop on Essentials of Social Mobilization was organized under the program at Peshawar University’s social work department. The training was open to community mobilizers, social organizers, coordinators and team leads of medium to small local and national NGOs. 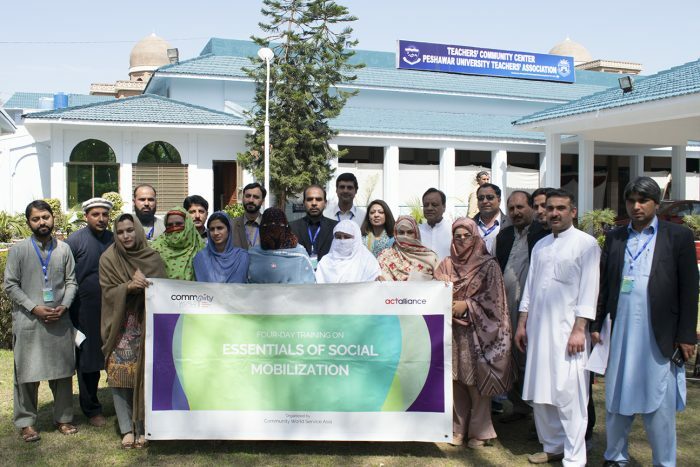 A total of twenty-four participants from seven different organizations and the university’s own social work department took part in this training that focused on strengthening participants’ understanding of social mobilization as an approach and to furnish them with skills and tools for its effective application and implementation. Emphasis on the Do No Harm approach for community development was placed among other topics such as social mobilization policy & procedures, significance of community engagement, and sustainability of development work. The training also covered technical aspects such as basic communication skills, ethics, successful community mobilization tools, managing power dynamics and conflict management that are essential to ensure the inclusion, ownership, well-being and human dignity of the communities in need. 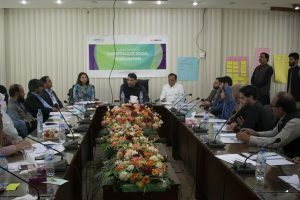 Some participating organizations, who did not previously have a social mobilization policy, planned to develop one soon after the training and included it as a high-priority task in their upcoming organizational work plans. 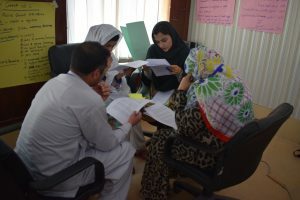 All participating organizations devised six-month action plans to include and implement learnings of the social mobilization training, with assistance of the training facilitators, in their program interventions and organizational development targets. 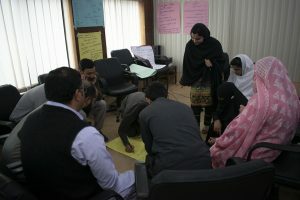 The participatory learning approach was the highlight of the training for me. The Do no harm approach, role plays and activities were interesting and new for us. 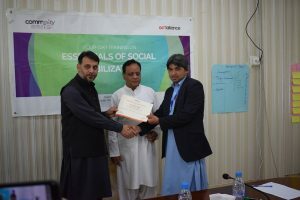 The session on social mobilization policy and its link with sustainability was very effective for local organizations like ours. Sajjad, Lasoona Organization, Swat, KPK. The training content was very informative and the methodology and quality were good too. I learnt new concepts such as the do no harm approach and the role of connectors and dividers in communities. The overall environment of the training was positive and productive. All participants got equal opportunities to engage. The training was quite relevant to our work experience in the field. The methodology of the training was effective and there was a lot of practical learning through group activities and discussions with other participants.